Every famous personality’s success banks upon his or her ability to be instantly recognized — at the end of the day, it’s all in the face! But what happens when another star keeps getting called by your name? Read on and discover these surprisingly unlikely pairs of celebrity doppelgangers! Sometimes, being doppelgangers can jumpstart a screen career. For English rose Keira Knightley, that big break came in the most unlikely of locations – a galaxy far, far away. A crucial plot point (no spoilers though!) of the 1999 Star Wars prequel The Phantom Menace rested on the visual familiarity between Queen Amidala and her handmaiden Padmé. Having already hired Natalie Portman, casting directors were swayed by the striking resemblance between their leading lady and an aspiring teenage actress and Star Wars fan, Keira Knightley. According to Knightley, even their own mothers occasionally got confused by them. These flame-haired starlets have taken to social media and the talk-show circuit in attempts to prove once and for all that they’re not the same person! 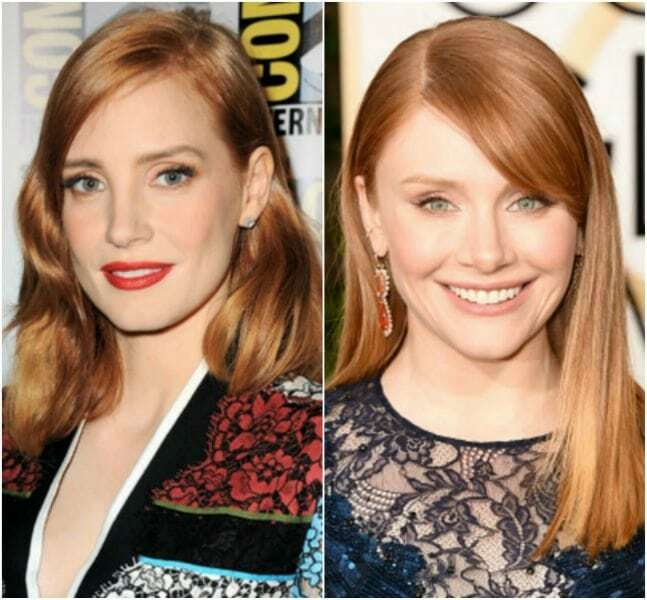 While their “complaints” are purely out of humor, the similarities between Jessica Chastain and Bryce Dallas Howard are entirely too uncanny. Turning Jessica Chastain into a blonde for 2011’s The Help must have been helpful to distinguish her from her co-star doppelganger. But before getting into makeup and costume, they must have caused more than a few double takes on the film’s set. Taylor Schilling’s breakout role in the female prison drama series Orange is the New Black made her a household name. While viewers continue to be engrossed by her gritty and dedicated performance, when Schilling’s out of her prison scrubs, she’s an absolute doppelganger for a certain California Girl. 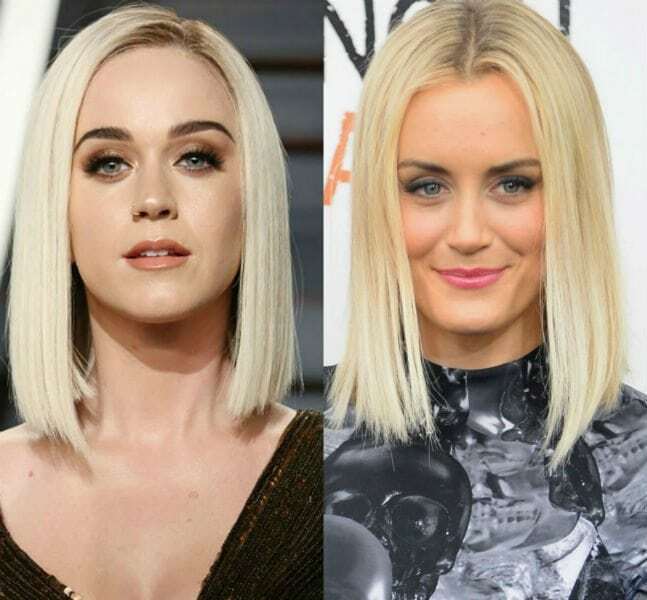 Most intriguing is how vastly different Katy Perry and Taylor Schilling’s careers are. Let’s just say that when watching one of Katy Perry’s extravagant and hyper-colorful performances, jailbird Piper Chapman might not be the first thing to come to mind. Surprising, to say the least! BAFTA-winner Thandie Newton is due to appear in the upcoming Star Wars film about Han Solo. With the vastness of galaxies and possibilities in the science fiction world, what are the odds that she’d discover a doppelganger right here on Earth? 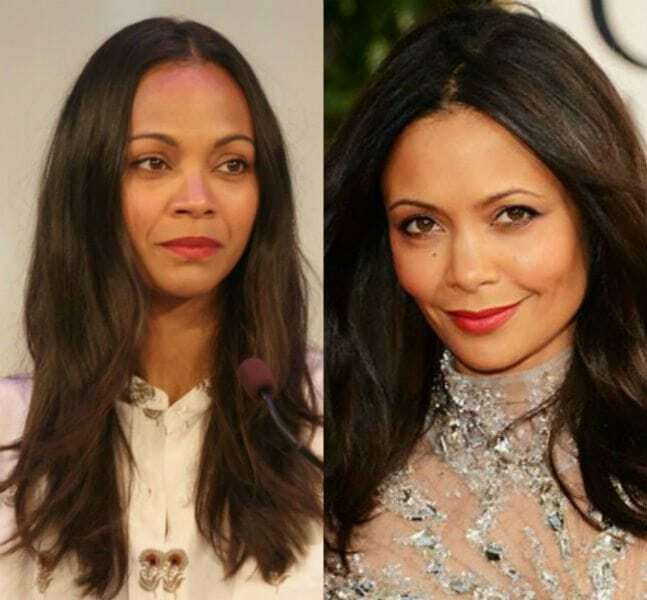 Enter Zoe Saldana. With leading performances in cinema blockbusters like Guardians of the Galaxy, Star Trek, and Avatar, Zoe is no stranger to being aboard a spaceship. It must have been quite the surprise for her to learn that her lookalike is from right across the Atlantic. The generation gap doesn’t matter in this doppelganger equation. 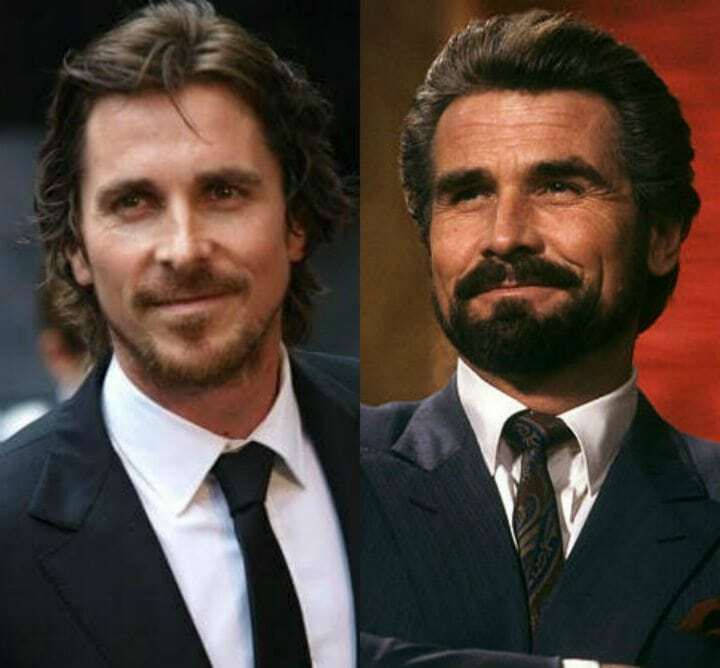 Hotel-era James Brolin is a dead ringer for present-day Christian Bale. 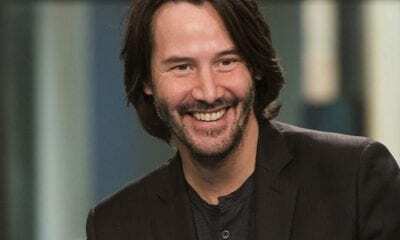 Both actors have changed their looks multiple times over the span of their careers. But the latter has been known to take drastic steps to alter his appearance in drastic ways. Christian Bale famously lost a frightening amount of weight for his role in The Machinist, but packed on the muscle in order to play Batman. With respect to television veteran James Brolin, one crucial question looms: with facial hair, or without? The diverse career of Bradley Cooper has sent him to places as far-flung as Bangkok, Morocco, and even the wilds of Las Vegas. Yet it’s a safe bet that this star hasn’t touched down yet to make a film in Mumbai. If he does, he’ll meet his local doppelganger: superstar Hrithik Roshan. Roshan is one of India’s top-billed actors, and is instantly recognizable to his hundreds of millions of fans across the subcontinent. Perhaps one day these twins will be able to create a cross-cultural collaboration. Time for dance lessons! Hollywood, meet Bollywood. 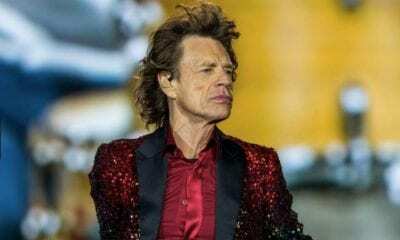 Musician, actor, and military veteran Kris Kristofferson has brought his talents to the forefront of the American entertainment world for nearly half a century. Jeff Bridges has followed a similar trajectory, and it’s catapulted him to the status of pop culture legend. White Russian, anyone? 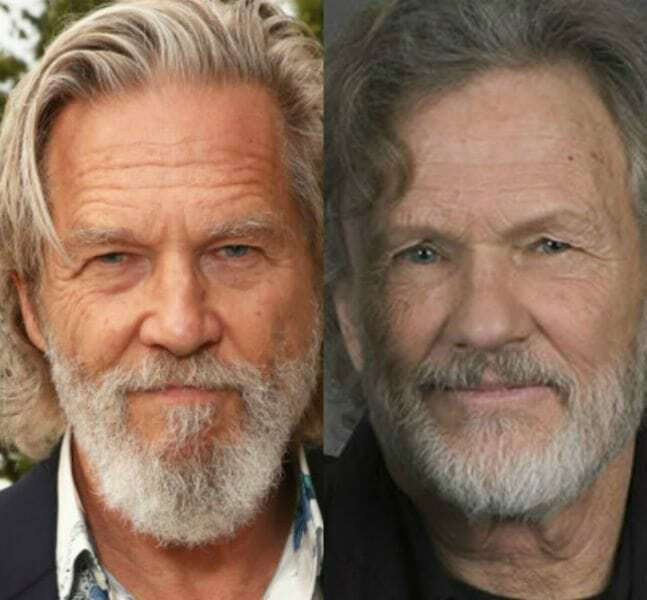 Maybe it’s the long locks of hair, maybe it’s the well-weathered faces, maybe it’s the era that served as their crucible, but Jeff Bridges and Kris Kristofferson are undeniably cut from the same cloth. Both halves of this doppelganger pair have won big: Kristofferson holds a Golden Globe, and Bridges is an Oscar winner.